Myotherapy treatment helps you achieve relief from your pain, restore the body’s function to as near to normal as possible, and help rehabilitate from your injuries. Regaining your flexibility and strength is the treatment aim, so that you can enjoy every day. Adam is a qualified Remedial Massage Therapist who completed his Diploma of Remedial Massage at Victorian Fitness Academy in Geelong. Adam has a strong passion for sports, health and fitness and is inspired to impact your current state of health, by assessing and treating muscle aches, pain and soreness from overuse, headaches, injuries and medical conditions. His goal is to restore as much range of motion and strength as possible, as well as help over come your pain so that you feel great and are back to doing your everyday activities. Whether you are playing sport, injured yourself at work, want to get back into exercise after an extended break, there is every reason to be pro active about the aches and pains you may have, as this will only help you achieve what goals you may have, whether exercise related, work related or anything else. 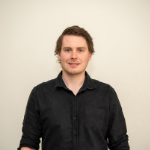 Adam specialises in a range of treatments, trigger point therapy, muscle stretching, myofascial release, passive joint movements, lymphatic drainage, sports massage and deep tissue massage.